In the supposedly last year of the transfer market before FIFA implements the famous financial fair play, huge money signing still colored the football world as reports confirming that 43 million Euro is set to come out for the service of Palermo’s Javier Pastore. Newly cash-loaded Frech side, Paris Saint-Germain is the club being confirmed as the Argentinian starlet’s buyer, a deal reportedly only lacking official statement from both PSG and Palermo, apparently could become the largest money signing so far this summer should the deal gets finalized. Being an uprising future star, Pastore’s departure from Serie A to PSG probably can’t be called as a career improvement, at least not on the level of Alexis Sanchez’s move to Barcelona. 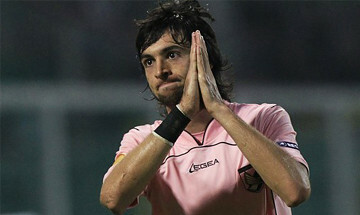 The Argentinian’s departure looks more as a financially motivated transfer, especially for Palermo’s owner, Mauro Zamparini, who is known as business minded owner, which can be seen from his ambition in getting as much money he could from his talented player rather than keeping or selling Pastore to a top club. Having a huge ambition in becoming the French Manchester City, PSG’s braveness in cashing out that huge amount of cash is something that the club probably ‘forced’ to do in acquiring the best talent theirs is since they currently doesn’t have the required pedigree as just yet. The intriguing question for Pastore’s potential departure, is the decision something that the player really wanted? As not long ago, the Argentinean international stated his wish of playing in a bigger club that can help him flourish into a much better player. Surely at the moment PSG isn’t actually among the top clubs that Pastore meant, although the French side does have bigger stature than Palermo as Le Parisien are one of the big clubs at Ligue 1 which won trophies in Europe in the past. One thing for sure, with the amount of money being splashed out, there will be many eyes watching and anticipating whether the Argentina international can be the one leading the French club entering the top elite in Europe soon or this step merely another stepping stone before finally finalizing his ambition in playing at the major force out there.